APA Members are entitled to a full 20% APA SF Member discount on all rentals at SAMYS CAMERA (1090 Bryant Street in San Francisco) just by showing your current APA Member Pro Media ID Card; this one benefit alone can more than cover your APA annual dues. RENTALS: APA Members are entitled to a full 20% APA SF Member discount on all rentals at SAMYS CAMERA (1090 Bryant Street in San Francisco) just by showing your current APA Member Pro Media ID Card; this one benefit alone can more than cover your APA annual dues. EVENTS & ENTRY FEES: APA SF Members are also entitled to a full 50% discount on all APA SF Event Admission and Chapter Exhibit Entry fees (slightly less for Supporter and Contributor level members), which can easily cover the cost of your dues. It pays to be an APA SF Member! APA works to help you get more work: Our Members’ Only Portfolio Reviews, APA National Sourcebook, and our Hire an APA Pro Online Portfolios all help you connect with new clients. APA Discounts: Members at the Supporter level and above are entitled to several dozen lucrative discount offers from Apple, Archive, Yodelist, Blinkbid, PDN, and Agency Access, to name just a few. APA SF Chapter Member Benefits, like the big 20% discount on all rentals at Samy’s Camera can easily pay for your membership, many times over, each year. And we have 15 more local benefits, plus great events, like our spectacular annual Something Personal juried exhibitions (members typically save up to 50% on all event & APA SF contest fees). APA Insurance: Get professional coverage at competitive rates from AIS (APA Insurance Services); photographer policies developed by pro photographers. With AIS coverage, you never pay extra of COI (Certificates of Insurance) -- the savings in COI fees alone can cover your annual membership dues. Reduced Excess Baggage fees: our APA Member Pro Media Card is specifically designed to help expedite quick check-in service at airports, as well as to facilitate the pro media discount on excess baggage, available through many airlines. Lots of APA members save hundreds of dollars every year, just by using this single APA benefit. APA Awards: Depending on your member level, you can save between $20-$35 on every entry. Join the thousands of members who know that APA membership can easily pay for itself. Memberships start at just $50. Member benefits for each member level are listed here. It definitely pays to be part of the APA community. 8. Intellectual Property Attorney Referral List (members: send email to info@apasf.com to request it). 9. CPA, Accountant, Accounting Consultant Referral List (members: send email to info@apasf.com to request it). APA SF m2m emails are a great way to selectively reach a safe, all-APA-SF-Member audience with classifieds, or event announcements. m2ms are generally sent out once a week as a single compilation edition which usually include more than one members' ads or event announcements. These weekly editions are currently scheduled to go out each Friday. The final deadline is 2:00 PM the day before (each Thursday). Members' messages received after the deadline will be sent out in the following week's edition. Members' Messages will be listed within the m2m Weekly Edition in the order in which they are received, with the member's name or company name at the top of each message. Please be sure to spell check and carefully proofread your message--all messages will be sent out as is. If you are interested in any m2m offers, please respond directly to the APA Member listed in the message; we simply cannot forward replies. 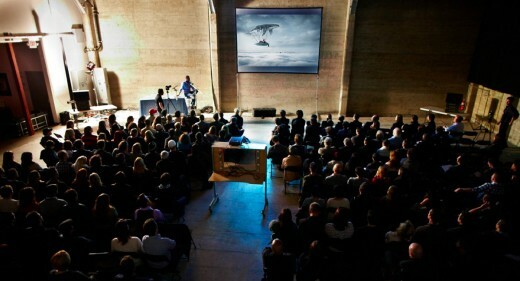 m2m is a regional benefit for APA SF members only. If you are an APA SF Leader, Professional, Associate, or Supporter Member in good standing, you can send out appropriate m2m emails by simply emailing your text only message to us at info@apasf.com. Member Event announcements and Studio Rental posts can include a banner or graphic; send us a RBG, 150 ppi, 4" wide JPG. We do not send out any attachments but you can include links within your message. We will forward your message right out on the upcoming Friday; be sure to include in your text a way (email address or phone) for interested people to respond directly to you, because we cannot forward replies. 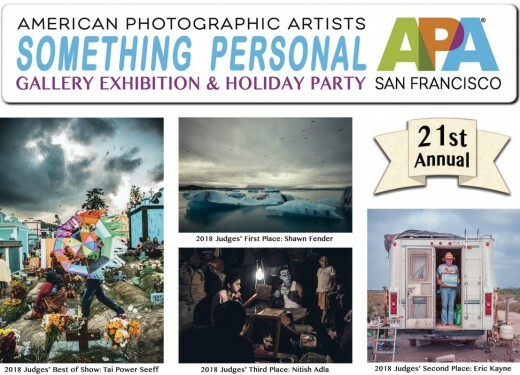 The APA SF m2m Weekly Edition service is reserved for APA SF Members' Photo Equipment for Sale Classifieds, appropriate Member Job Opportunities, Studio Rental Classifieds, or Member Exhibit/Events, and Supporter (crew) Classified (30 words maximum) announcements only. Please consolidate all of your current m2m information into one message. To avoid inundating our members with too many lengthy emails, we will only send out one m2m message per month from any APA SF Supporter Member -- APA SF Leader and Professional members are entitled to two m2m messages per month. APA SF m2m emails are a great way to selectively reach a safe, all-APA-SF-Member audience with classifieds, or event announcements. m2ms are generally sent out once a week as a single compilation edition which usually include more than one member's ads or event announcements. These weekly editions are currently scheduled to go out each Friday. The final deadline is 2:00 PM the day before (each Thursday). Members' messages received after the deadline will be sent out in the following week's edition. Please consolidate all of your current m2m information into one message. To avoid inundating our members with too many lengthy emails, we will only send out one m2m message per month from any APA SF Supporter, or Associate Member -- APA SF Leader and Professional members are entitled to two m2m messages per month. View the Judges' top 200 selections in the Online Gallery!